In our offer some rooms with bathrooms. Rooms are equipped with: TV, radio. At guests' disposal: fully equipped kitchen, generally accessible bathrooms. On the premises parking lot. The facility is located in the quiet surroundings. 15 km to Warszawa. 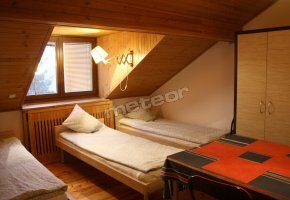 Rooms for 1, 2, 3, 4 persons. Some rooms: with bathrooms, with wash-basins. Rooms are equipped with: Internet access. At guests' disposal fully equipped kitchen. On the premises parking lot. The town centre 200 m. WE INVITE YOU ALL YEAR ROUND!!! Rooms with bathrooms. 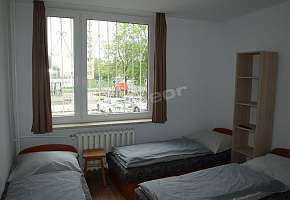 Rooms are equipped with: TV, Internet access, cooker. Apartment: with 2 rooms. Apartment with bathroom and kitchen. On the premises free parking lot. The facility is located in the quiet surroundings. Rooms with bathrooms. Rooms are equipped with: satellite TV, radio, telephone. At guests' disposal wireless Internet (Wi-Fi). On the premises parking lot. At guests' disposal: bar, café.